Situated in the Highland Park neighborhood, Accolades Salon and Spa is the pinnacle of relaxation. 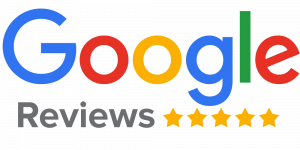 Our commitment to making sure you enjoy every second of your visit is the most important goal to us. When you walk out of our salon refreshed, relaxed, and rejuvenated, we know our goal has been achieved. 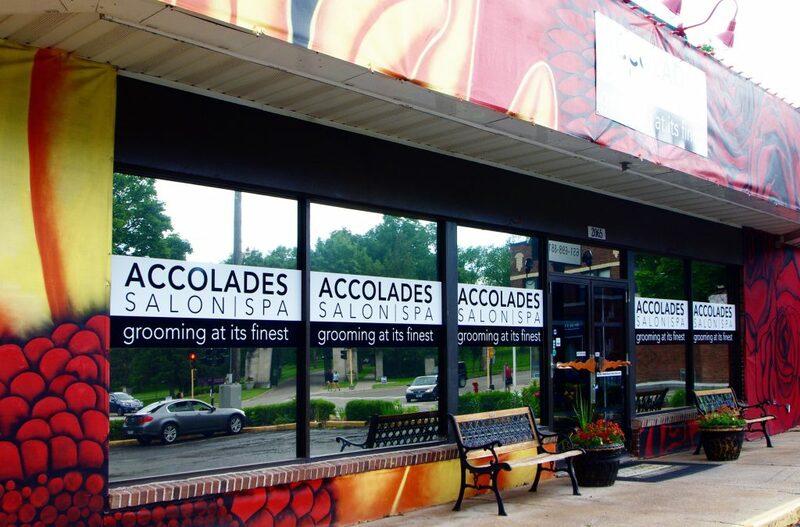 Accolades Salon Spa of St.Paul, MN specializes in your salon spa needs. From professional stylists and hair color consultations, we deliver exceptional services like: haircuts, facials, massage, waxing, pedicures, manicures. People usually have to stick their necks out to earn accolades. But at our salon, we give them freely. Allow us to give you that well-deserved time for yourself. At Accolades Salon, be prepared to be treated as one of great royalty. Our team of stylists are masters of their craft. They work together as a team to help you get the style, color and look you want, as well as the relaxing experience you deserve. 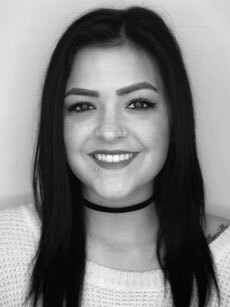 Alicia is one of our senior stylists, and has been in the hair industry for 13 years. She always knew that she would thrive in this industry because, even as a child, she knew that when people looked in the mirror and liked what they saw, it set the pace for an amazing day! 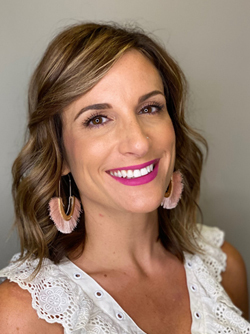 Alicia feels confident performing all of the services Accolades Salon Spa offers – cuts, colors, facials, makeup and nails. However, she specializes in dry cutting, razor cutting and Reike during our holistic, chemical-free facials. Come see her and get healed and beautified from the inside out! 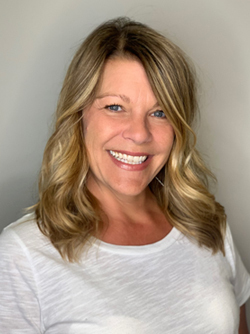 Jenny started her “journey in hair” back in 2006 at the Aveda Institute, Minneapolis and has been a part of the Accolades Salon Spa team since 2007. 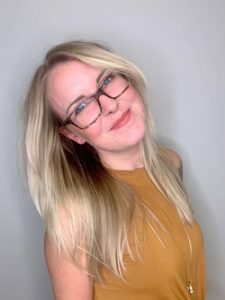 From taking advanced education yearly to educating fellow staff, she has developed a passion to create the perfect cut and color for your lifestyle. Jenny’s specialties in cuts range from short women’s hair or the perfect bob, to soft face framing layers on long hair. 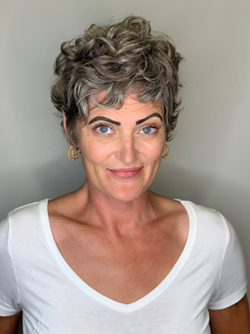 She prides herself on using texture and functional weight removal to personalize a look for you, while allowing your look to grow out as best as possible. 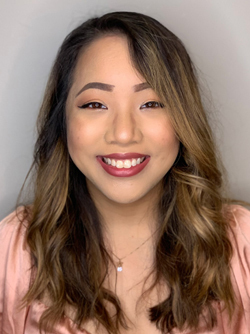 If you’re looking to cover up those pesky greys, add color that shows off your personality and style or enhance the natural you – Jenny’s your girl! 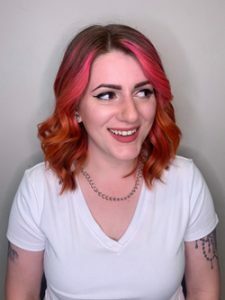 She loves using artistic techniques to create dimensional color that is uniquely you, while maintaining the integrity of your hair. 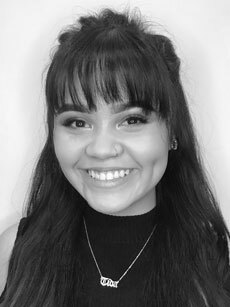 Josy studied at the Aveda Institute, Minneapolis and came directly to Accolades Salon Spa after graduation. She has been here for seven years and naturally gravitated towards hair coloring and became an educator for our color line, All Nutrient®. 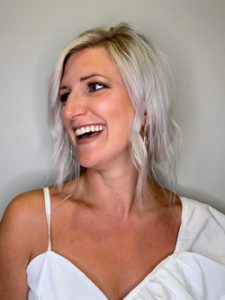 Her educational focus is now on educating our staff on color theory, mastering our color line, and staying up-to-date on industry color trends. Josy will give you 100% at each-and-every appointment and genuinely enjoys interacting with her clients. She does her best to provide you with a color and/or cut that highlights your natural beauty and works well with your lifestyle. Whether you are looking to hide that grey hair and look ten years younger, or go crazy with some vivid color, Josy is your girl! When it comes to color, Josy specializes in low-maintenance balayages, and blended foiling. 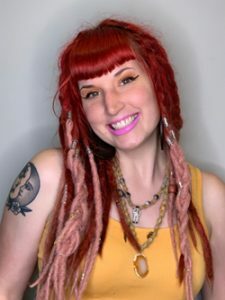 She loves creating unique brunettes and vibrant redheads, but has a special spot for blondes of all different tones and dimension! No color would be complete without a great haircut to complement it. Josy loves cutting long luxurious layers, precision bobs of all different lengths, and sharp pixies. Over the last couple of years, she has enjoyed cultivating her men’s cutting skills, as well. Josy believes that your hair is your best accessory, so why not make it fabulous?! Melissa studied at The Aveda Institute, Minneapolis and has been in the industry for about 10 years. She has found her passion, which allows her to use her technical skills while doing her best to make people feel beautiful. She developed a passion for cutting to create style and texture not long after developing a passion for color. Her favorite part of her career is using her artistic and professional abilities to develop what is best for her client’s hair. Whether it is foils, balayage, all over color, natural colors, vibrant color, bobs, pixies, long hair, curly hair or straight hair, she loves it ALL! Giver her a challenge and she will accept it! Linnea has been a stylist for 12 years and at Accolades Salon Spa for over four. She was previously a manager at a salon located in Plymouth, MN. She loves working with natural texture! She believes in accepting what you have naturally and fully learning how to embrace whatever that may be! She also enjoys enhancing your natural color! Whether it be an easy grow-out or maintenance, to blending and brightening your “natural” or blonde highlights, she is always looking to make your color the best for you! In her free time, she enjoys cooking, baking, canning, gardening, camping or anything outdoors! She loves to exchange ideas, recipes and tricks or tips that make life easier! Sit in her chair and you will leave feeling beautiful and refreshed, and maybe even with a new recipe or two! Angela is Accolade Salon Spa’s resident skin care expert/educator, Reiki healer, waxing queen and founder of Arigato® Holistic Skin Care, which is used throughout the salon. She melds beauty and nutrition together to address disorders such as acne, dermatitis, rosacea, ADHD, autism and other mental health and topical issues that respond to sensory-friendly healing. She enjoys facials for all ages and ALL waxing services. Samantha started her career at Accolades Salon Spa in 2014. If you need a unique, vivid fashion color, Samantha is the girl for you! Samantha will make your color animated, fresh and healthy – whether it’s a natural color or a vivid fashion color. She loves her clients like no other and is passionate about achieving your hair goals with you! She loves to add a deep conditioner and a healthy trim with a color service to make you feel like a new person! Hair Dressing is Shelly’s passion in life. Making people feel good about themselves and seeing the transformation before her very own eyes brings her so much happiness and joy. 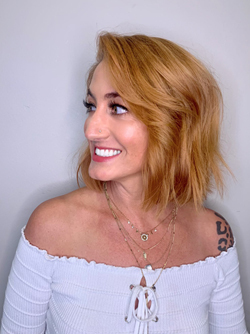 All of her clients ask her, “What is your favorite part about doing hair?” Her response is always the same – she loves it ALL, but if she had to specialize in something, it would be color. She always says foiling hair is like doing yoga for her. She is in her zen place. Let Shelly create the perfect look for your lifestyle. Paige loves every part of this industry. Creating visions and helping her clients customize their own looks is what she looks forward to the most. She loves working with blondes and doing balayages to add a soft yet sassy look to anyone! Alana always had a passion for drawing and painting. After graduating high school, she wanted to study art. 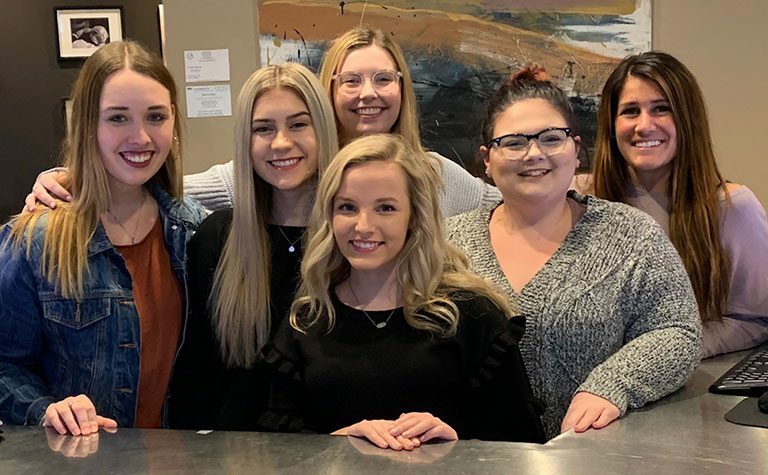 Before she could make her mind up on what school to attend, her father, Brad Schlaeger, the owner of Accolades Salon Spa, talked her into going to beauty school so she could make a living while attending college. Alana attended The Aveda Institute, Minneapolis in 2011. Of course, she fell in love with the industry and decided makeup would become her new art! After years of being in the industry, she decided to go back to school in 2018 to become a cosmetologist. Alana now loves every moment of her job. She does all services including – hair, skin, nails, and makeup. Book an appointment with Alana. Jamie started taking cosmetology classes while still in high school and fell in love with the industry. 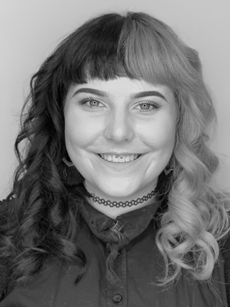 She graduated from The Aveda Institute, Minneapolis in 2014. Jamie enjoys precision haircutting for both men and women. She loves to make her clients feel comfortable and good about themselves. She loves giving her guests rich, beautiful colors and also helping women blend their grays. Kelly graduated from the Douglas J Aveda Institute in East Lansing MI in 2002. She started her career at an Aveda salon in MI, specializing in hair cutting and styling for eight years. At that point, Kelly moved to Saint Paul and continued her career at Accolades Salon Spa. Her favorite part of working at Accolades is that she can do color and cuts together. She loves helping people find a look that is looks natural, compliments them and is also manageable at home! 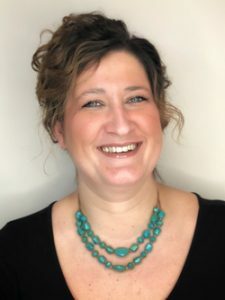 She believes building a relationship with her clients is very important, and nothing is better than transforming the way a person feels inside and out! She loves highlighting, balayage and full head colors, but also has been known to cut a mean bob! Kelly’s years of specialization in haircutting have helped her grow as a precision cutter. Let her help you find the perfect style for you! The salon feels like a second home to Lola. Growing up with a mom who was a stylist, a career in the Salon Industry felt natural to her. 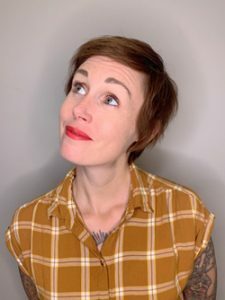 She began her training in Austin, TX where she worked for 12 years before moving to the Twin Cities in 2016. She loves both cuts and colors and making the client’s vision a reality. She specializes in fashion colors, balayage, pixie cuts, long layers, texture and movement. Julie graduated from Aveda Institute of Minneapolis in 2018. Growing up, she always wanted to be a hairstylist. Along the way, there were obstacles that had stopped her from reaching that dream. Now, she is able to make her dreams come true – to be a professional doing what she always loved. She strives to improve in her work every day. Her goal in this industry is to not only make art, but to make everybody in her chair happy, beautiful, and confident in themselves with her work. Book an appointment with Julie. Mick has passionately spent many years honing his craft and believes a great haircut speaks for itself. 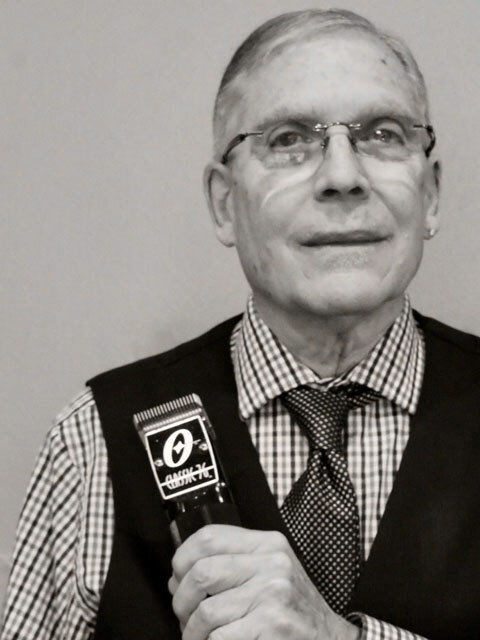 Trained at Vidal Sassoon, Mick believes every head of hair needs a splash of color! He also is trained and certified by Arrojo in the “American Wave”. With his attention to detail, he can deliver a clean, understated aesthetic or something bolder! Megan has been working in the “wonderful world of hair” since April, 2013. She has made a home at Accolades Salon and Spa since July, 2016. Her passion is to create satisfaction and self love for all the divine individuals that sit in her chair. Your hair is her canvas and she wants to create the masterpiece you’ve always wanted: because we all have our own unique spirit that should be shining out here on earth! 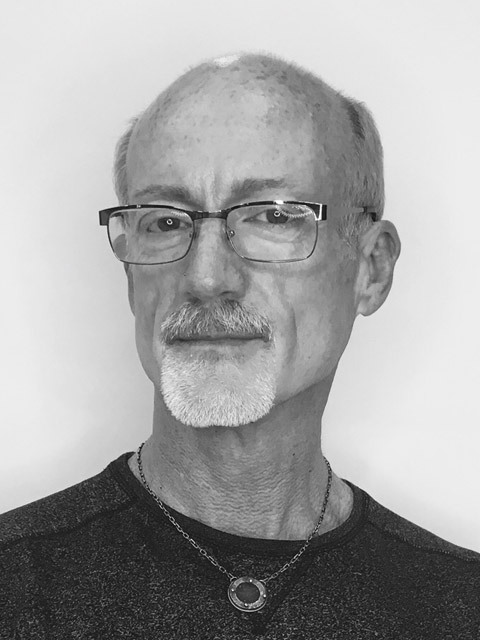 Book an appointment with Rick. Chloe graduated from Aveda Institute Minneapolis in 2018 and joined the Accolades team shortly after. Chloe chose to be a stylist because the industry is always changing and presenting new opportunities to be creative. 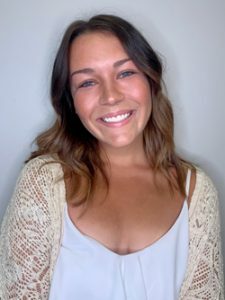 She believes in educating both herself and her clients on all things hair, while collaborating with her clients to achieve their hair goals! Chloe enjoys combining different techniques in order to produce a truly unique and personalized look catered to her client. She believes it doesn’t take a dramatic change to feel brand new, but is always eager to take things outside of the box. Her favorite services to perform are highlights, balayage, and vivid colors. Book an appointment with Chloe. Tida graduated from the Salon Professional Academy in 2018 and immediately joined the Accolades Team. Tida loves to help people feel and look beautiful and finding the perfect look that compliments them in their own way! Tida is confident doing cuts, colors, makeup and nails. Book an appointment with Tida. Accolades Salon Spa is not only one of the most prestigious salons in St. Paul, it’s also a fabulous place to work and build a career! Our team members are masters of their craft and are committed to offering our guests the best salon and spa services available. Our staff is closely-knit and diverse, made up of people who are committed to their careers in the Beauty Industry and to being part of the Accolades team. We work hard, love our clients and what we do, and have fun doing it! If interested in learning more, please send your resume and an introductory email to careers@accoladessalonspa.com.